Already with Division-I offers in tow, Wilkinson became the all-time leader in school history in every meaningful passing stat. A first team all-stater, the 6-3, 210-pounder threw for 1,790 yards and 19 touchdowns. The Bruins battled through a slew of injuries and played three different quarterbacks. It didn’t matter for Yachini, whose breakout season landed him first team all-state honors. He led the Ohio Valley in receptions (53), yards (955) and touchdown catches (10). Yachini averaged 18 yards per catch and 95.5 a game. Now a two-time, first team All-West Virginia selection, Allen again terrorized opposing offenses. He recorded 76 tackles, of which 29 went for a loss. Allen recorded 18 sacks to bring his total to 43 the last three years, to go along with a pair of interceptions, three fumble recoveries and two forced fumbles. The Eastern District Division V co-Defensive Player of the Year, Hoover was everywhere for the Purple Riders. He led the team with 104 tackles while gaining more than 1,300 yards rushing. Hoover’s spectacular season earned him a first team All-Ohio selection. You don’t get to be one of the top teams in the valley without having a good offensive line. Steubenville has a pretty good one in Moore. Big Red rushed for nearly 3,000 yards this season on the way to the Ohio Division IV state title game and Moore and his 6-foot-1, 230-pound frame. 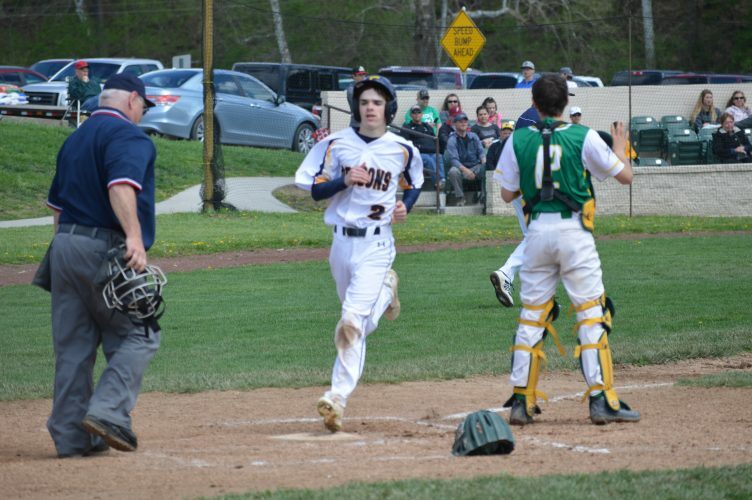 Moore was selected first team All-Ohio, Eastern District and OVAC. It only makes sense that the team with the leading rusher in the Ohio Valley has one of the top offensive linemen. Stull provided a bevy of senior leadership along the Huskies offensive line and opened up big holes for running back Tyler West. At 5-11, 245, Stull was named first team All-Eastern District and OVAC, and third team All-Ohio. A 300-pound beast along the front line for Coach Dave Bruney’s club, Wallace was a man amongst boys this season. Also a stalwart in the middle of the defensive line and the team’s punter, Wallace, a three-year starter, gained All-Eastern District laurels and special mention All-Ohio. This two-way standout worked his way back from an early season injury to star as a two-way lineman. A defensive tackle for Coach Brett McLean, Elerick made his biggest mark at center where he graded out in the 90s each week. He was named special mention All-Ohio. A 5-foot-8, 165-pounder, his final season in a Jets uniform ended in a second team All-Ohio selection. A speedster, McWhorter was the lead guy for Coach Bruce Stiles. He racked up 1,105 yards on 120 carries and scored 12 touchdowns. With 1,447 yards (160.7 per game, 9.8 per carry), West burst onto the scene this year as the leading rusher among Ohio Valley big schools. And that was even with missing a game because of injury. He scored 12 rushing touchdowns. The Intelligencer and Wheeling News-Register’s Sophomore of the Year was also selected first team All-Eastern District and OVAC, as well as third team All-Ohio. Ask anybody that played the Red Riders who the toughest back to bring down is. More than a few will point to Enrietti, whose final season earned him first team Class AA status. Enrietti, who was injured against East Liverpool and missed the team’s two playoff games, finished with 191 carries for 1,398 yards and 13 TDs. After a stellar season at St. John Central as a sophomore, Davis didn’t let the bright lights of Harding Stadium rattle him. In his first season at Big Red, the junior signalcaller threw for 2,091 yards and 25 touchdowns with a 103.43 quarterback rating. Davis, the son of former All-Valley captain Jose Davis, was honorable mention Eastern District. 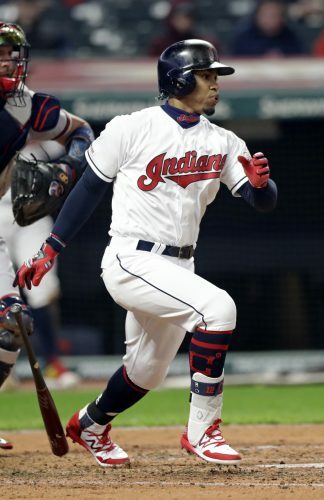 The only thing that could slow this guy was a broken collarbone late in the season. Until that point, Phillips made the most of his first season as a starter. Phillips hauled in 51 passes for 647 yards and six touchdowns. At 6-5, 265 pounds, Reeves was a big target and made Davis’ job a lot easier. He showed good hands and usually took more than one defender to bring this big boy down. Reeves hauled in 47 passes for 750 yards and eight touchdowns for Coach Reno Saccoccia. 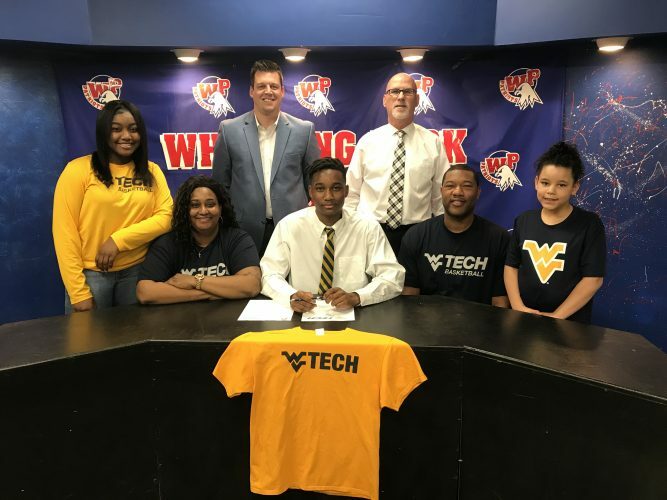 The University of Pittsburgh commit was named first team All-Ohio, Eastern District and OVAC, as well as the Eastern District Offensive Player of the Year. This do-it-all was a standout for Coach Andrew Connor’s playoff-qualifying team. Wade hauled in 27 catches for 465 yards and five touchdowns, passed for 72 yards and another score and also had two picks — one returned for a touchdown — on defense. Returning to quarterback after spending a season at receiver, Smolenak completed 78 of 134 passes for 1,190 and eight touchdowns while also running for 632 yards and 12 scores. His performance earned special mention All-Ohio. Also playing defense for the first time, the Red Devils quarterback completed 100 of 179 passes for 1,480 yards and 15 touchdowns. In addition, Bigelow carried the football for 391 yards and five more scores. Starr is the only student-athlete to make the All-Valley team in two separate fall sports, following a second-team appearance on the All-Valley soccer team. Starr had three field goals this season and converted on 25 extra points. Coach Bruney credits his strength as one of the main reasons for becoming one of the most dominating ends in the valley. Davis racked up 64 tackles, seven sacks and batted down six passes. He was also a top receiving target offensively. At 6-foot, 190 pounds, Carter might not be the biggest guy on the defensive line, but he had a knack of getting into the backfield. Carter was second on the Huskies with 75 tackles, with almost a third of those (22) going for loss. He also led the team with 10 sacks. He was chosen second team All-Eastern District and honorable mention All-OVAC. With 82 tackles and a team-high 11 for loss, Robinson was a wrecking ball along the Big Red defensive front. At 6-1, 225, Robinson also recorded five sacks and let the team with three blocks. A second team all-state selection, Coulter came into his own this season for Coach Rick Goodrich’s Monarchs. He led John Marshall with a robust 133 tackles, including 96 solos. In addition, Coulter had six tackles for loss, four sacks, three fumble recoveries, a forced fumble and an interception returned for a touchdown. Huskies coach Justin Kropka will be sad to see Ball leave. The rest of the coaches in the valley won’t be. At 6-1, 255 pounds, Ball quickly showed he was one of the best players in not just the valley, but also the state. He recorded a team-high 112 tackles, 25 for loss, while also picking up nine sacks, five forced fumbles, four fumble recoveries, three interceptions and two defensive touchdowns (to go along with the 13 he had offensively). Ball was selected first team All-Ohio, Eastern District and OVAC. He may have been young, but Kolb took over the Red Devils defense. A transfer from Norwin, Pa., he led the team with 98 solo tackles and assisted on 28 more for a total of 126. Kolb also had eight tackles for loss and forced three fumbles. A leader in the middle of the Big Red defense, Zimmish was the leading tackler with 110, six for loss. The 5-9, 190-pounder also added two blocks, recovered two fumbles with one fumble recovery and one sack. 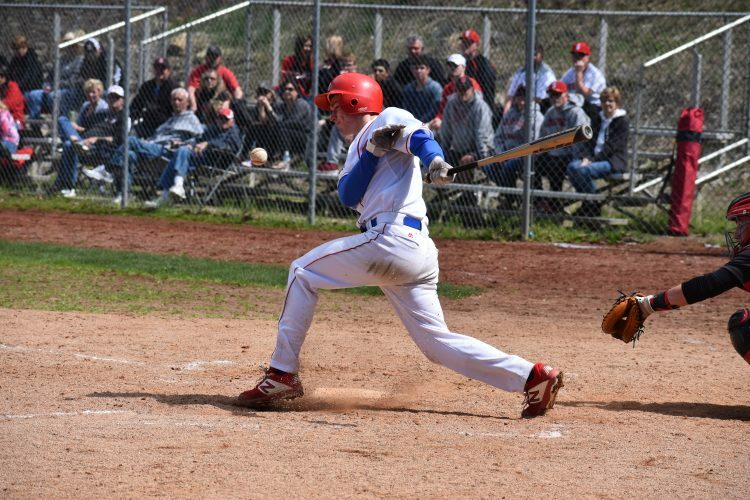 Zimmish was selected first team All-Eastern District and OVAC, as well as special mention All-Ohio. Talk about making the most out of your one season as a starter. Torbett destroyed anything in his path this season as the Patriots went back to the playoffs. The 6-0, 185-pound safety registered 104 tackles, six pass breakups, 3.5 tackles for loss and one sack on his way to first team all-state status. Coach Chris Daugherty called him one of the best defensive players he has ever coached. As physical as they come, Petteway was a lockdown corner for Saccoccia’s defense. The 6-foot, 180-pounder wasn’t tested often and finished with 69 tackles, three interceptions and a sack. “Pookie” was named first team All-Ohio, Eastern District and OVAC, as well as being named the Eastern District Defensive Player of the Year. He really did a little bit of everything for the Redskins. A 5-9, 180-pounder, Coppa made 47 solo stops and assisted on 28 others for a total of 75 tackles. In addition, he also broke up five passes, had three INTs caused two fumbles and recovered three more, one of which he scored on. The 5-10, 170-pound strong safety made 105 tackles, three for loss, to go along with a team-high six interceptions and four forced fumbles. He was first team All-Eastern District and OVAC, as well as special mention All-Ohio. Injury tried to slow him down — and it did for a while — but when Hess was on the field, he produced. That was at QB, RB, DB and kick returner. He scored 11 TDs a variety of ways and was charted with a pair of pass breakups. It’s not easy for a sophomore to make our team. But when that guy garners special mention All-Ohio and is his coach’s top selection, eyebrows start to raise. Pappas did a little bit of everything for coach Derrick Stickles, including running and catching the football, and tracking it down on the other side of the field. A free safety by trade, Collins registered 57 solos and assisted on 20 others for a total of 77, including four for a loss. He had one sack and two interceptions. Offensively, Collins had 1,066 total yards. It was a tough season for the Panthers, but Callarik’s talent shone through. Whether on offense or defense, he either had the ball or was chasing it down. Callarik proved to be one of the more multi-dimensional players in the valley. Steubenville didn’t have to punt much, but when a defense was lucky enough to force Big Red to punt, it was still at a disadvantage thanks to Smith. Averaging nearly 40 yards a kick, Smith was selected first team All-Ohio and All-Eastern District. Buckeye Local — Sean Mallard. Harrison Central — DeJuan Caldwell. Indian Creek — Andy Waggoner, Trey Harton. John Marshall — Chas McCool. Martins Ferry — Ty Allen, Hunter Bodkin. Oak Glen — Isaac Rosohac. St. Clairsville — Joey Maroon. Wheeling Park — Scottie Meagie, Jack Bence. Buckeye Local — John Marelli. Harrison Central — Kyle Roberts. Indian Creek — Cody Allen. Martins Ferry — Cory Bennet. Oak Glen — Collin Williams. St. Clairsville — DeVon Harris.